The Coquettish Diva Musical by Hong Kong Movie Stars and Tickets Giveaway! You are at:Home»ENTERTAINMENT»The Coquettish Diva Musical by Hong Kong Movie Stars and Tickets Giveaway! Fans of Hong Kong Movies will be familiar with Karl Maka and Raymond Wong Pak-Ming, both well-known Hong Kong Directors and also once known for their comedic roles on the big screen, the two veteran actors will be taking on new images through the characters of Ma Shi Zeng and Xue Jue Xian respectively in this new musical, The Coquettish Diva! 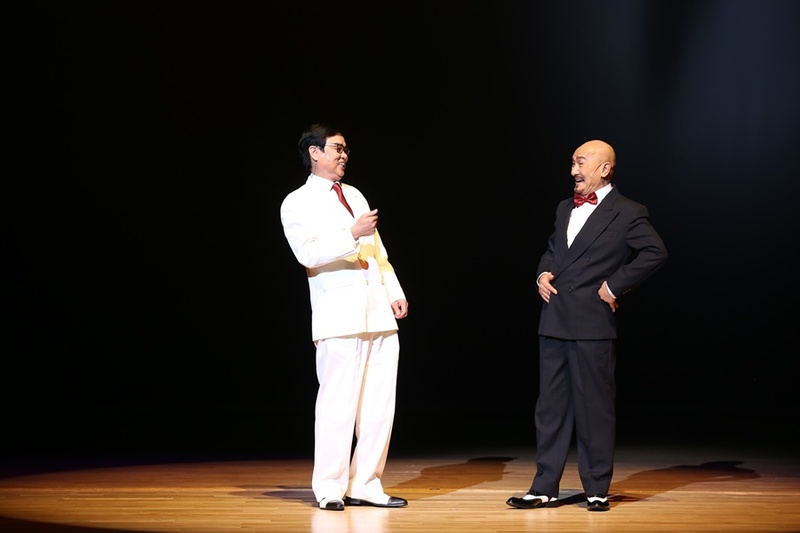 Not only is “The Coquettish Diva” Maka’s first play, both he and Wong Pak-Ming will be singing several famous opera tunes live. This play is definitely not to be missed! “The Coquettish Diva” produced by Spring-Time Experimental Theatre, will debut in Singapore on 14 October 2017, at Kallang Theatre. The Cantonese play directed by Clifton Ko Chi-Sum (Hong Kong film director, actor, producer and scriptwriter) narrates the life of Hong Xian Nu, the renowned Cantonese opera actress, and pays tribute to her dedication and undying pursuit of the arts. 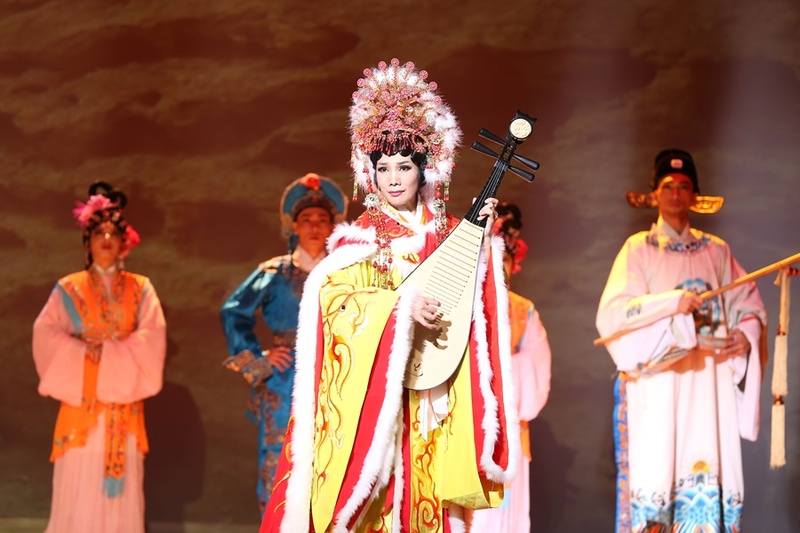 The starring lady of the play, Su Chun Mei, is not only the disciple of Hong Xian Nu, she was also the lead actress of the Guangzhou Hong Dou Cantonese Opera Troupe and Shenzhen Cantonese Opera Troupe. Su Chun Mei has spent years studying her Master’s art of Cantonese Opera, and has received numerous awards. Audience from at home and abroad who have watched her perform never fail to sing praises of her interpretation of this traditional art form. This is an opportunity to watch Karl Maka and Raymond Wong Pak-Ming live on stage instead of watching them on-screen! Audience will enjoy Su Chun Mei’s rendition of the famous Hong Xian Nu. “My life belongs to arts, my arts belong to the people”, this is the true belief of Cantonese Opera Grandmaster, Hong Xian Nu. “The Coquettish Diva” is promoted by Asia Arts & Culture, Spring-Time Productions (Singapore) and Shining Entertainment Investment. The Coquettish Diva Musical will be showing in Singapore for one night only! Thanks to Shining Entertainment Investment! We have a pair of tickets to giveaway for the lucky winner and partner to watch The Coquettish Diva – Cat 2 tickets, total worth $216, (excluding SISTIC fee) on Saturday, 14 October 2017 at 8pm! 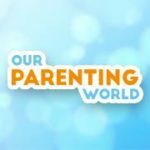 2) LIKE and SHARE Our Parenting World Facebook Post on The Coquettish Diva Musical by Hong Kong Movie Stars and Tickets Giveaway! 3) SHARE and TAG at least 5 family and friends on The Coquettish Diva Musical by Hong Kong Movie Stars and Tickets Giveaway! 4) COMMENT on this website post at the Comment Box below, simply tell us when is The Coquettish Diva Musical being performed? Hurry, giveaway will close on 8 October 2017 at 23:59Hr. The lucky winner will be chosen at random and announced through Website and Facebook. Drumroll … We are pleased to announce the lucky winner is Gladys Tiyo. Thank you to our kind sponsor, Shining Entertainment Investment for the fabulous prizes to our readers! 14 October 2017 8pm at Kallang Theatre. Saturday 14 Oct 2017, 8pm. 14 October 2017 at 8pm! Answer : it will be held on Saturday, 14 October 2017 at 8 pm at Kallang Theatres !! !